Money continues to pour into the coffers at jewellery colossus Pandora. Newly released financial figures for the first six months of the year show the company adjusting its projected turnover for 2015 up to 16 billion kroner – 1 billion kroner more than anticipated. In the second quarter alone, Pandora’s net profit was 910 million kroner, compared to 662 million kroner in the second quarter of 2014. The company attributed the growth to increased revenue and favourable exchange rates. Revenue in the Americas rose by nearly 44 percent, sales in Europe increased by 38 percent, and revenue in Asia Pacific grew by just over 44 percent when measured in Danish kroner. Overall, turnover was up 41.4 percent when measured in Danish kroner, or about 25 percent when measured in the local currencies of the store’s location. The company’s concept stores contributed significantly to the increased turnover – sales in those specialty shops increased by 54.7 percent and amounted to 59.3 percent of total revenue. 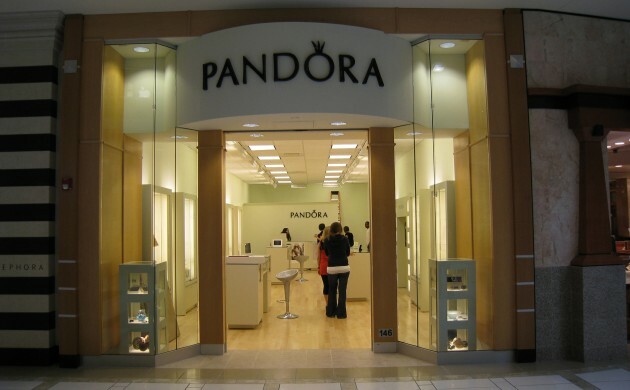 Pandora plans to continue the expansion of its store network and now expects to add more than 375 new concept stores in 2015, up from its previous forecast of 325.